Paragon Bank is currently showcasing artwork from Woodland Presbyterian School students in the lobby of its Saddle Creek banking center (7600 Poplar Avenue) for the community to enjoy throughout February. The bank has a great partnership with Woodland, as Robert Shaw, Chief Executive Officer at Paragon, has been active on the school’s board for eight years. 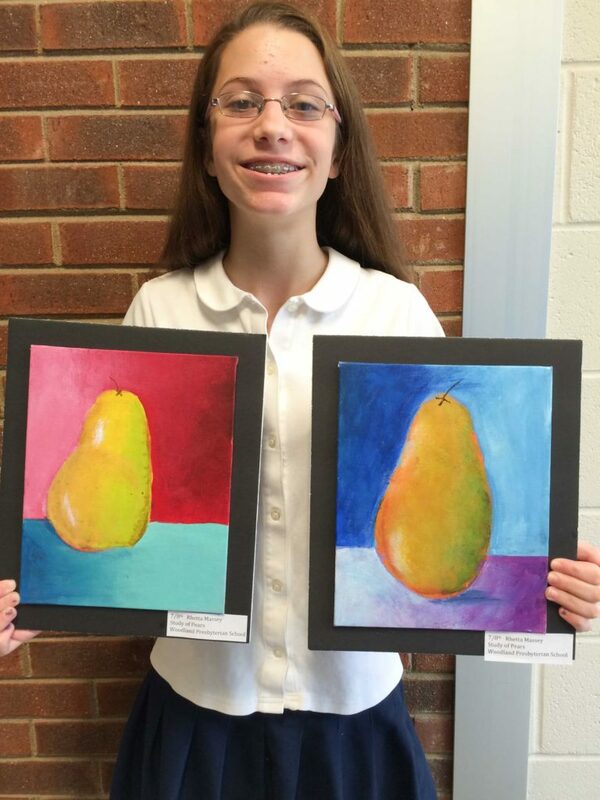 “The students, teachers and staff of Woodland have a special place in my heart, and Paragon is honored to continue our relationship with the school by displaying some inspiring art from these young artists,” said Shaw. Paragon worked with Woodland Presbyterian School art teacher Sue Spice to display a variety of pieces, including animal portraits and outdoor sceneries. 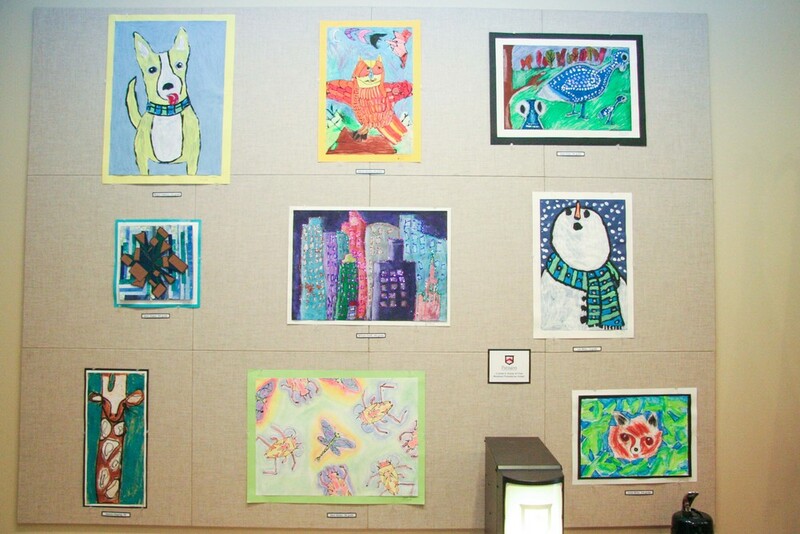 The artwork was created by nine students in kindergarten through middle school. Student artists include Chloe Brown, Abbie Downs, Bree Henry, Avery Jones, Madalyn Lichterman, Rhetta Massey, Dedrick Miles, Perrin Mullinax and Ben Ziegler. Beginning in 1956, Woodland Presbyterian School began as a ministry of Woodland Presbyterian Church and has educated children of the Mid-South in a nurturing and challenging environment by promoting academic excellence, spiritual development, social responsibility and a positive self-concept. The school started as a senior kindergarten class with thirty students, and today consists of two sections of each grade from pre-kindergarten through eighth grade, with a student population that exceeds 360 students. Woodland’s mission is to promote academic excellence, spiritual development, social responsibility and a positive self-concept. Paragon Bank will display Bodine School student art in its Saddle Creek banking center (7600 Poplar Avenue) during October to help raise awareness for Dyslexia Awareness Month. 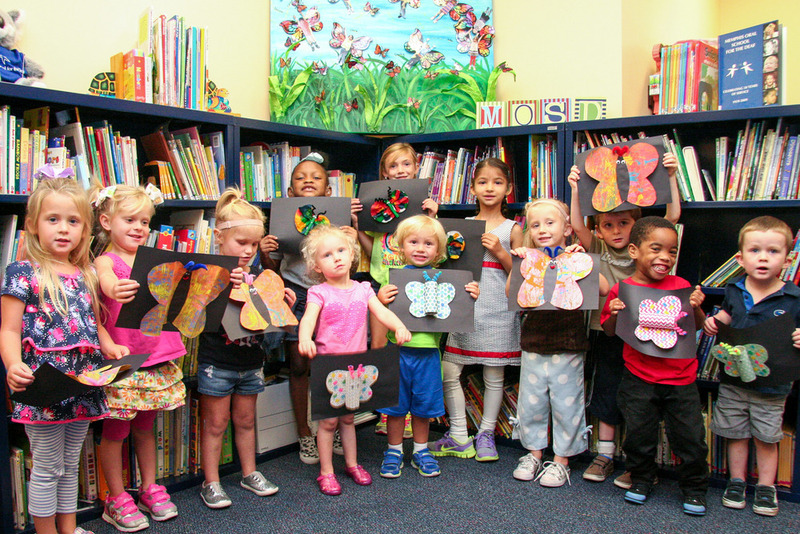 Bodine School, located in Germantown, strives to help children with dyslexia read and succeed. Paragon worked with Bodine School art teacher Lori Wakefield to display an assortment of art mediums, including watercolor, charcoal and collage. 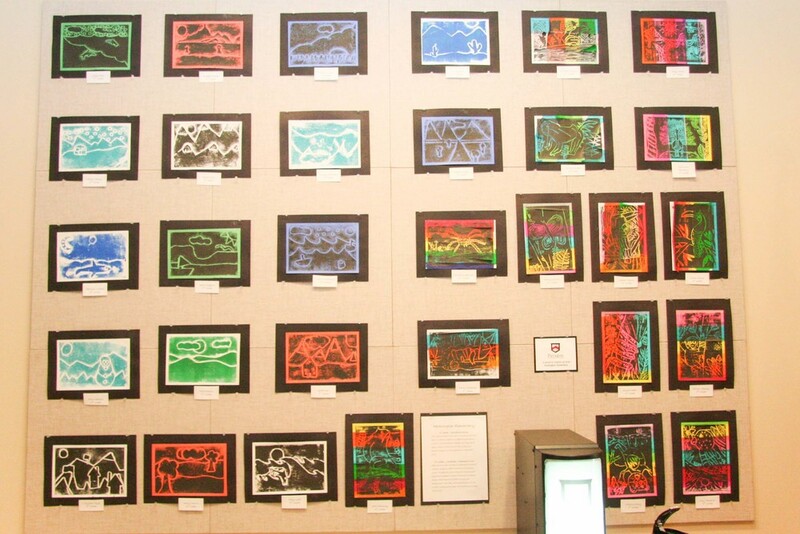 The art, created by 49 students in the second through fifth grades, will be on display for the community to enjoy in the main lobby of the bank until October 31. Student artists include Helen Craig, Thomas Hathcock, Adrianna Libby, Emma Claire Mackey, Ian Passman, Taylor Pendleton, Lola Pera, Nate Polly, Lola Poole, Ciara Sernel and Dariush Zafer in second grade; Jesse Ammons, Jordan Beasley, Michael Bright, Presley Carrol, Emiko Dallas, Luke Early, Kaylan French, Harry Hutchins, Keira Ligon, Lily McCollum, Jared Morris, Emily Nunn, Henry Shackelford, Sara Shepard, Grayson Simonton, Rachael Spain, Hil Thompson and Wilson Thompson in third grade; Brandon Baker, Caleb Caraway, Caleb Degan, Kent Dinh, Mary Wilkes Dunavant, Cooper Dye, Lilly Graham, Lauren Miller, Ruby Nahmais, Sarah Palmer, Kennise Wilkins and Adam Williams in fourth grade; and Melina Anastassatos, Abigail Arnold, Avery Barber, Ava Evans, Harrison Keller, Michael Owen Lopez, Robert Rainer and Charlie Shackelford in fifth grade. Based in Germantown, Tenn., Bodine School provides an independent, educational experience that allows the dyslexic mind to thrive through a challenging and thought-provoking curriculum. The school’s mission is to lead the Mid-South in teaching children with dyslexia to read and succeed. For more information, visit bodineschool.org. 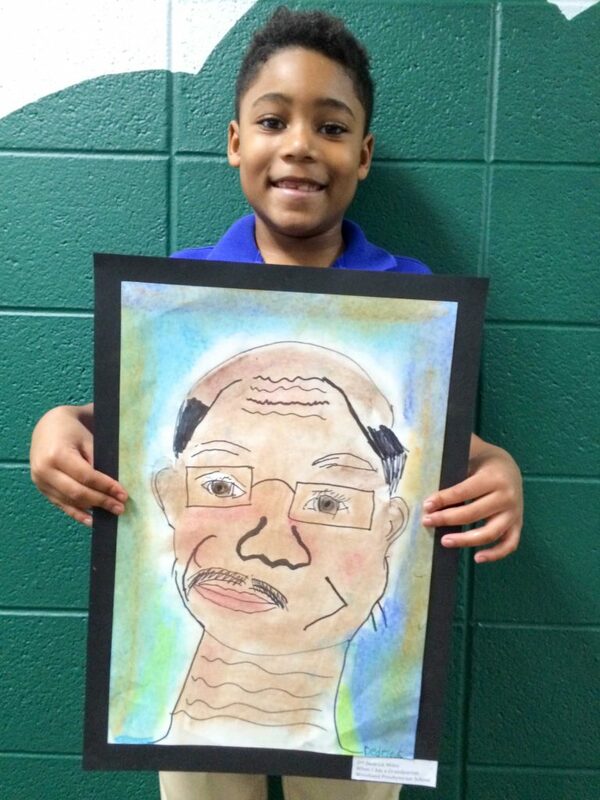 Paragon Bank has begun the 2014-2015 school year by displaying artwork from Memphis Oral School for the Deaf students in the lobby of its Saddle Creek banking center (7600 Poplar Avenue). Located in Germantown, Memphis Oral School for the Deaf offers education to hearing-impaired children to equip them with a solid education foundation and an equal opportunity to succeed. Paragon worked with Ginger Ragan, the school’s Development Associate, and teachers Cyndi Eaton, Susie Harland and Holly Strasberg to display artwork from 12 preschool students, ages three to six years old. 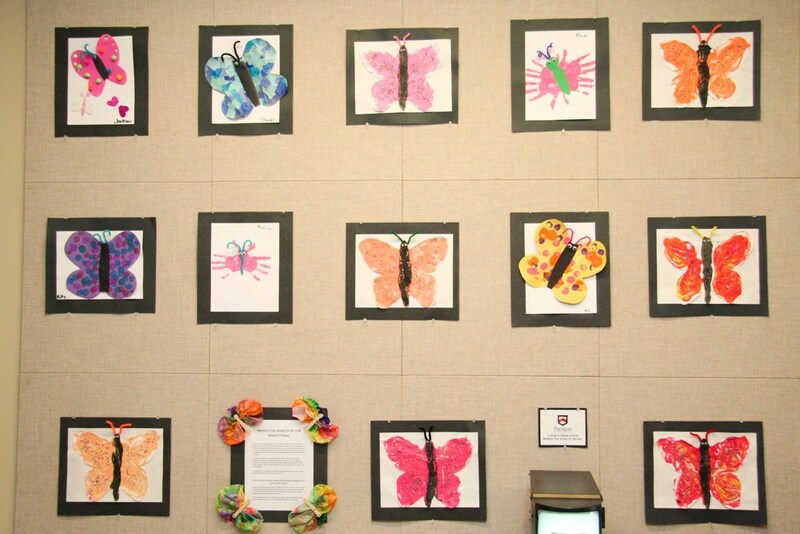 The artwork, which will be on display until September 30, features butterflies and was inspired by the school’s tradition of offering each student the chance to release a butterfly during their graduation ceremony. 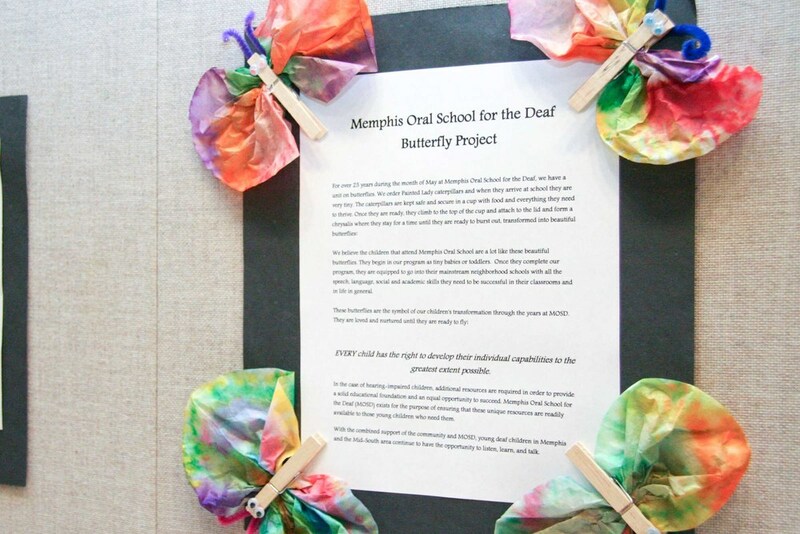 The release of the butterfly symbolizes the student’s progress through their years at Memphis Oral School for the Deaf. The work was created by Julia Bogard, Aurice Dalal, Lizzie Gray, Isaiah Johnson, Jordan Johnson, Rory Johnson, Collins Kellum, Haley Newman, Madilyn Sims, Martin Wade, Ayleah Wilbanks and Joseph Wright. Located in Germantown for more than fifty years, the Memphis Oral School for the Deaf works to empower deaf children all over the Mid-South to listen, learn, and talk. Instead of sign language, the school uses speech and language therapies and audiological services in conjunction with preschool classes to help profoundly deaf and hard-of-hearing children. These techniques help children, ages birth to six, develop the necessary listening and spoken language skills to be a part of a world of sound. For more information, visit mosdkids.org. 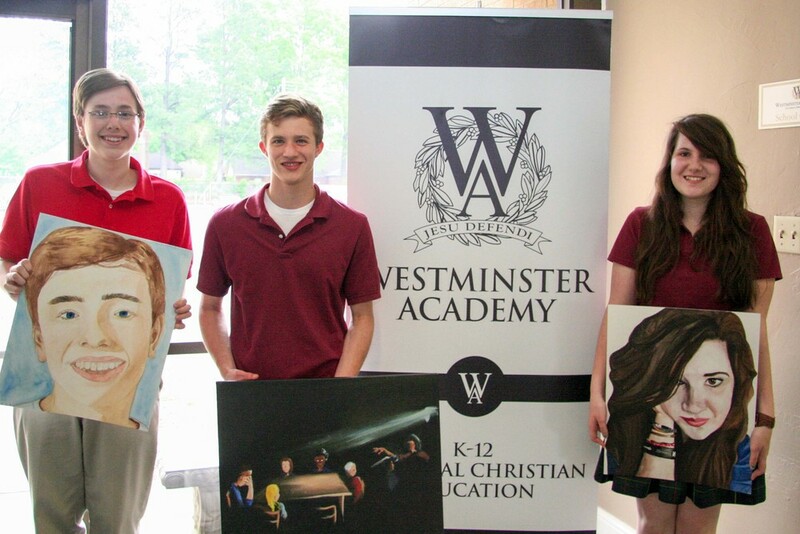 Paragon Bank announced that its Saddle Creek banking center (7600 Poplar Avenue) is showcasing art from 15 Westminster Academy students during the month of May. The Westminster installation is the eighth student exhibit Paragon has hosted during the 2013-2014 school year. Paragon partnered with Westminster art teachers Tirzah Rhodes and Jocelyn Collins to select and display the assortment of artwork in the bank’s main lobby. This month’s creative pieces include an iris painting, oil pastels and self-portraits. The work was created by Ginny Bratton, Sarah Gentry, Eliana Harris, Elizabeth Ann Hickman, Peter Hale, Eastin Lowther, Aislin McCaulla, Jacob Orellana, Harrison Ray, Sarah Statom and Elizabeth Wilson from the elementary school; and Emilee Barclay, William Berger, Emily Jordan and Cy Leist from the high school. 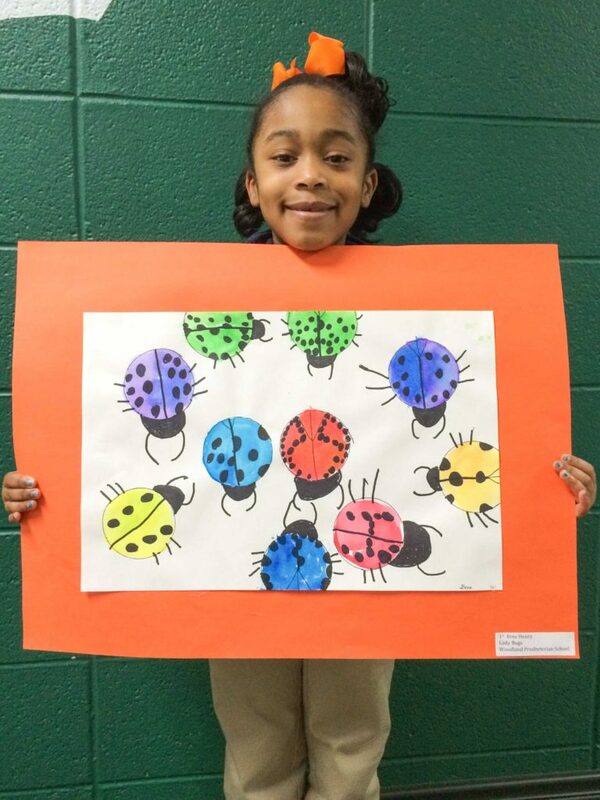 Paragon National Bank is currently showcasing artwork by students from St. Louis Catholic School for the public to preview at its Saddle Creek location (7600 Poplar Avenue) until April 30. 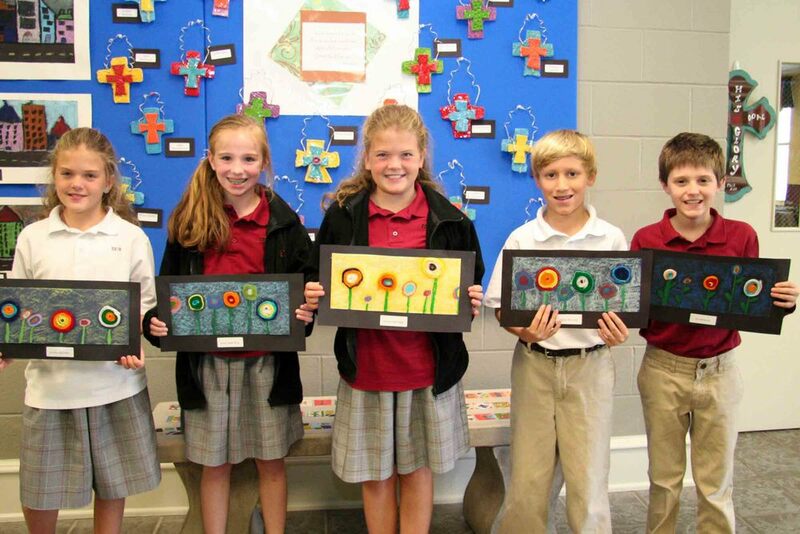 The bank worked with the school’s art teacher, Robin Durden, to select and display artwork by 11 third grade students and ten junior high students. 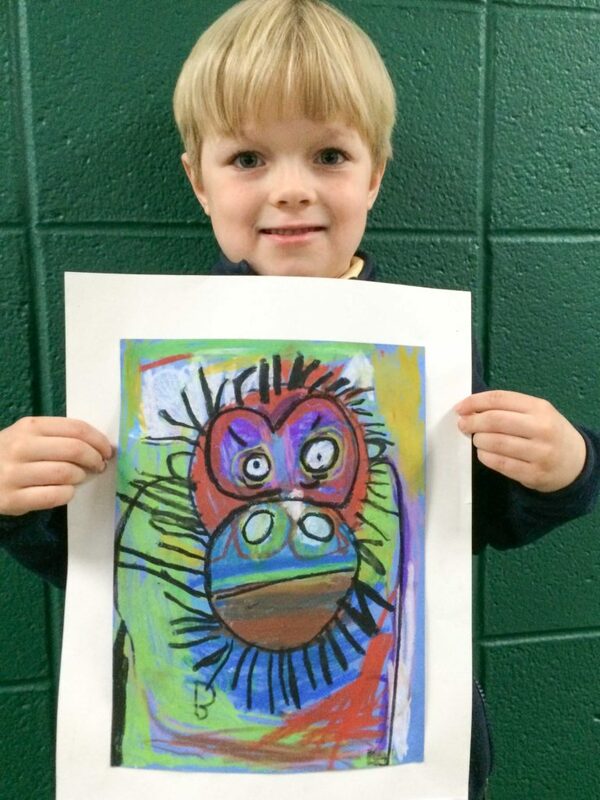 St. Louis is the seventh local school art exhibit that Paragon has hosted during the 2013-2014 school year. The third grade student artwork that’s currently on display features drawings of each student’s stuffed animal from observation. During this project, students learned how to mix new colors and how to layer oil pastels. 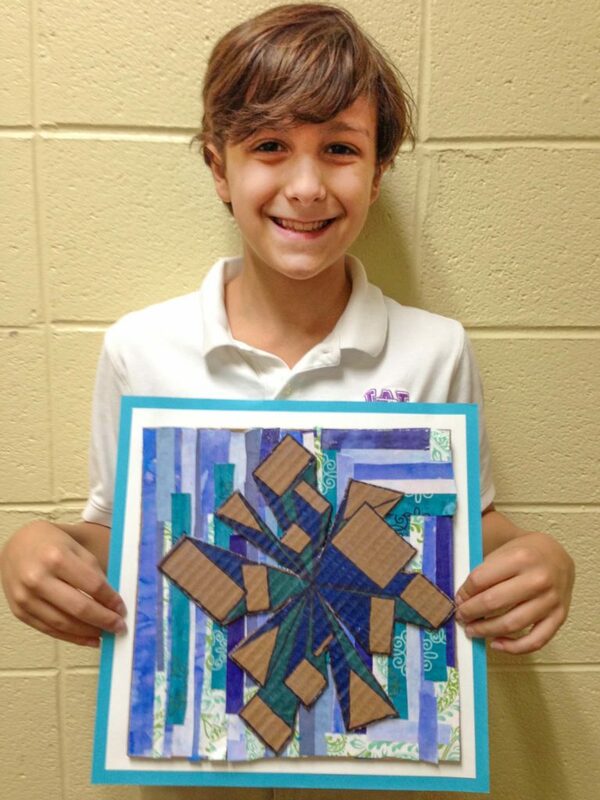 The junior high students created artwork inspired by Austrian artist and architect, Wundertwasser. The students created a tree with repeated patterns and bright colors, similar to what one would find on Wundertwasser’s paintings and architectural pieces, using watercolor pencils. The work was created by Finley Carney, Lindsey Crossnine, Anne Grimes, Mary Grimes, Charlie Hately, Melissa O’Neill, Hana Roberts, Mia Soefker, Anna Kate Wade, Ava Wendt and Audrey Zweig in third grade; and Karen Benedict, Sophie Cervetti, Raymond Fracchia, Mason Hall, Garret Knot, William Newsom, Franco Nayan, Anna Sloka and Emily Wilson in junior high. Paragon National Bank is currently hosting artwork from Woodland Presbyterian School students in the main lobby of its Saddle Creek banking center (7600 Poplar Avenue) throughout February. Located in East Memphis, Woodland Presbyterian School serves students in pre-kindergarten through eighth grade. Paragon partnered with Woodland art teacher Sue Spice to select the works of art from students in senior kindergarten through sixth grade. The pieces feature a variety of scenes and will be on display in the bank’s lobby until February 28th. 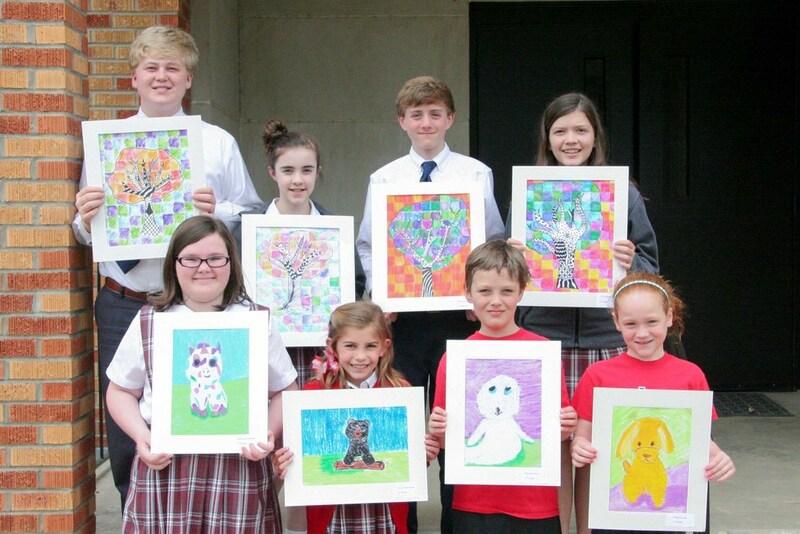 The artwork was created by Dawson Hopping in senior kindergarten; Levi Miller in first grade; Chloe Miller in second grade; Abigail LaGasse in third grade; Gabriel Murphy and William Smith in fourth grade; Adam Heaton and Kaya Jones in fifth grade; and Davis Hopper in sixth grade. Paragon National Bank is currently displaying artwork by students at Farmington Elementary School in its Saddle Creek banking center (7600 Poplar Avenue) throughout January. 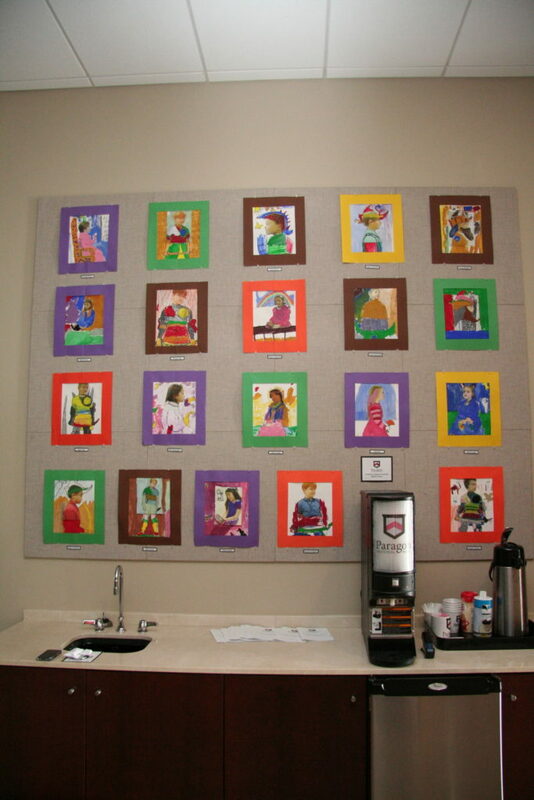 Located in Germantown, Farmington Elementary School serves students in kindergarten through fifth grade and is the bank’s fourth student art installation during the 2013-2014 school year. 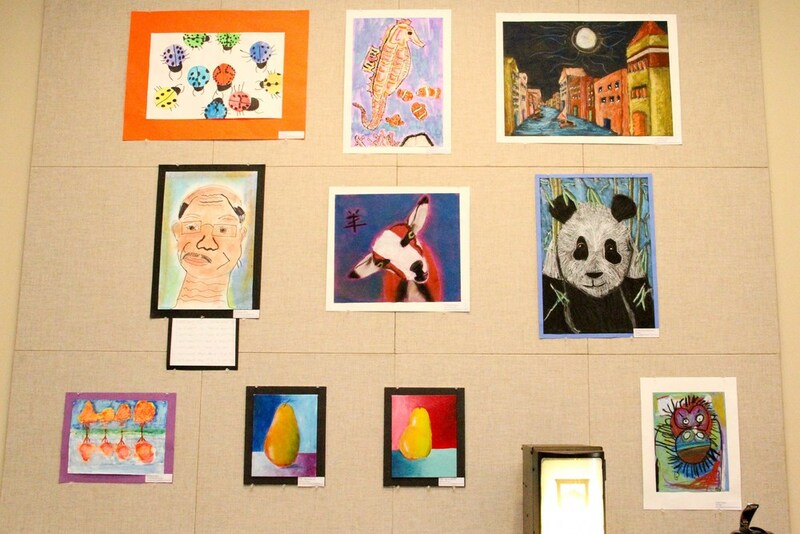 “We take pride in helping showcase the talent of young artists in our community and believe our customers will enjoy the latest art on display from the Farmington Elementary students,” said Robert Shaw, Chief Executive Officer at Paragon. Paragon worked with Farmington Elementary School art teacher Rebekah Laurenzi to select artwork created by 31 students in fourth and fifth grade. After learning about visual texture and the work of artist Henri Rousseau, the fourth grade students created rainforest animal prints by pressing their designs into foam sheets, rolling printing ink onto the surface and pressing the paper onto the foam. Fifth grade students made landscape and seascape prints after learning about the famous Japanese printmaker, Hokusai. To make their designs, students cut and glued poster board together to create a landscape or seascape design with foreground, middle ground and background. Then, they rolled printing ink on the surface and pressed the paper onto the designs. The colorful artwork was created by Emma Adair, Jack Callaway, Carlos Cardenas, Ally Carpenter, Oliver Crowder, Catherine Dely, Haley Huban, Emma Johnson, Christian Johnson, Harshitha Marepally, Rachel Stamey, Sasha Thorne, Hudson Tollison and Kevin Wang in fourth grade. Participating fifth grade students included Lea Ashford, Avery Carrico, Bella DePriest, Emily Easley, Lauren Edwards, Lily Jewel Foyle, Riley Goff, Carson Goold, Jacob Hall, Avery McDowell, Joseph Park, Sara Perkins, Michael Powell, Marjorie Ann Templeton, Kate Wiggins, Harrison Wilkes and Mina Ziai. Paragon National Bank is currently displaying several art pieces from students at the Evangelical Christian School (ECS) Forest Hill campus. The artwork will be featured in Paragon’s Saddle Creek banking center (7600 Poplar Avenue) throughout the month of November. 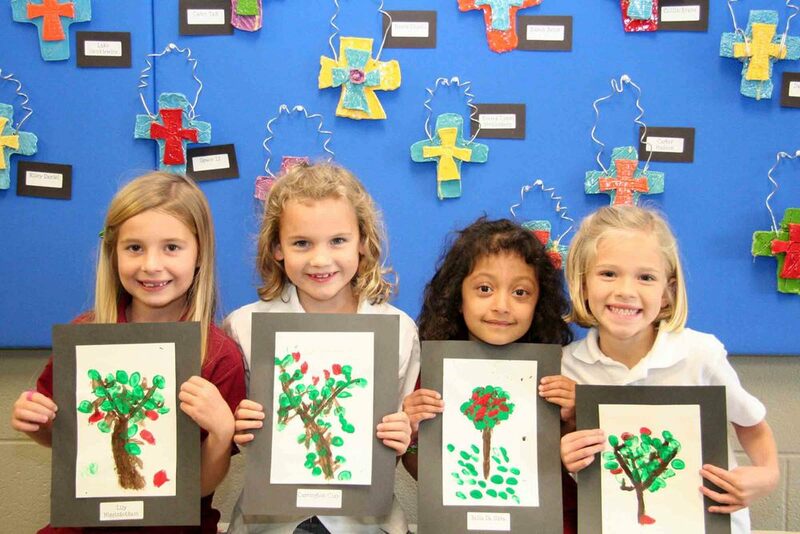 With locations in Germantown, Cordova and Memphis, ECS serves students in kindergarten through twelfth grade and is the third student art installation Paragon has hosted during the 2013-2014 school year. Paragon worked with ECS art teacher Anne Smith to select and display artwork created by 28 students in the first grade and 14 students in the fifth grade. 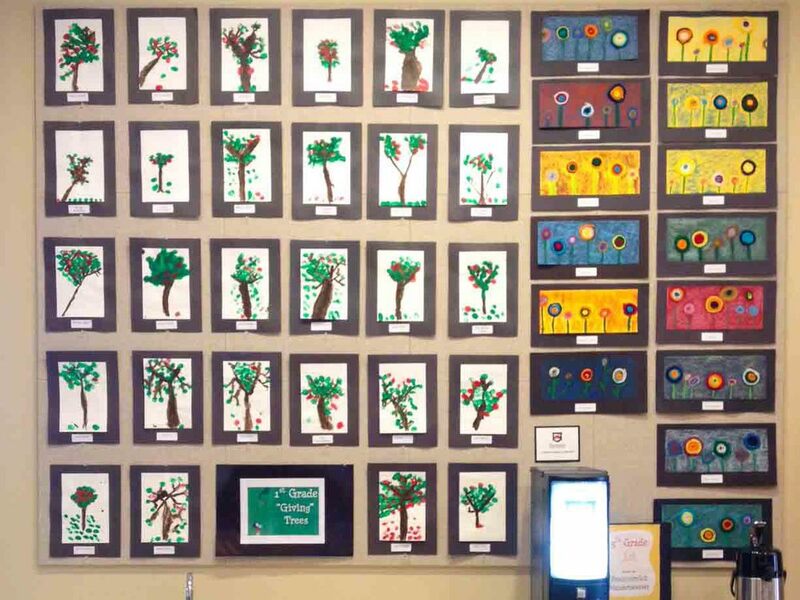 The first grade students’ artwork was inspired by Shel Silverstein’s book “The Giving Tree” and Austrian artist Friedensreich Hundertwasser served as the influence for the fifth grade students. The artwork from the first grade was created by William Bauer, Ava Becker, Hallie Brown, Carrington Clay, Sarah Grace Clinton, Lucas Cox, Lily Curtright, Addy Davis, Josie Davis, Whit Dean, Grant Evans, Joseph Hamilton, Lily Higginbotham, Lucy Holton, Ava Howell, JoJo Lei, Emily McAdams, Lily Brooks O’Briant, Campbell Pallera, Elaine Parker, Kade Reavis, Natalie Regel, Nash Rendall, Bella Da Silva, Sarah Bonner Sink, Rachel Slater, Emma Tetleton and Claire Todd. Participating fifth graders include Breanna Coleman, Lindsey Davis, Ashley Galloway, Heather Galloway, Luke Harris, Becca Ikle, Anna Grace King, Kanny Kumtor, Sarah Liles, Matthew Lindsey, Warner McCrary, Ethan Perkins, Eli Sherwood and Kinsey Wilson. 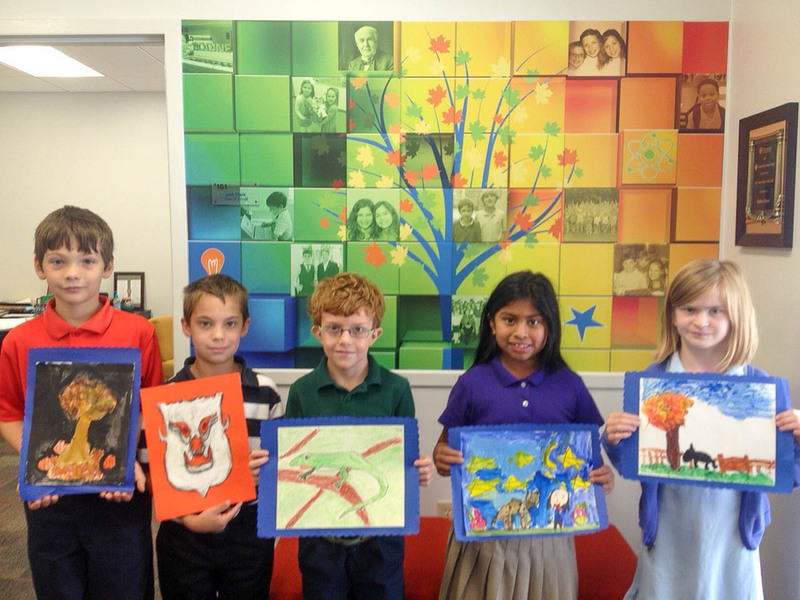 Paragon National Bank will once again display artwork from Bodine School in its Saddle Creek banking center (7600 Poplar Avenue) during October. Bodine School, located in Germantown, provides an educational experience that focuses on teaching Mid-South children with dyslexia to read and succeed. This is the second consecutive year that Paragon has worked with Bodine to select and display student art in the bank during Dyslexia Awareness Month. Paragon worked with art teacher Lori Wakefield to display self-portrait paintings by 20 students in the first and second grades. The Renaissance and Leonardo da Vinci themed work will be on display in the main lobby of the bank’s Saddle Creek banking center until October 31st. The artwork was created by Helen Craig, Taylor Pendleton, Lola Pera, Nate Polly, Braden Walker, Bennett Walpole, Virginia Unglesby and Dariush Zafer in the first grade. 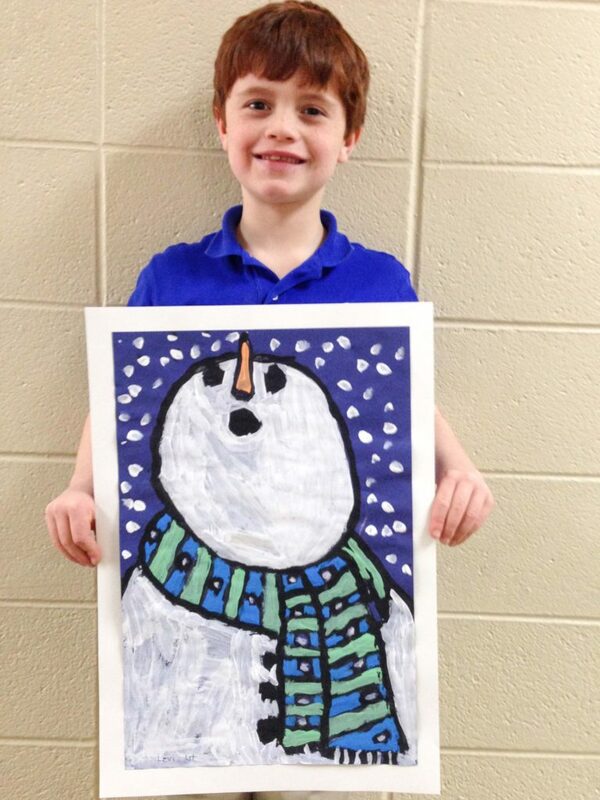 Artists in the second grade include Clayton Blackedge, Emiko Dallas, Kalan French, Will French, Harry Hutchins, Lily McCollum, Jared Morris, Mia Sappington, Grayson Simonton, Rachel Spain, Hil Thompson and Wilson Thompson. a solid education foundation and an equal opportunity to succeed. at Memphis Oral School for the Deaf. 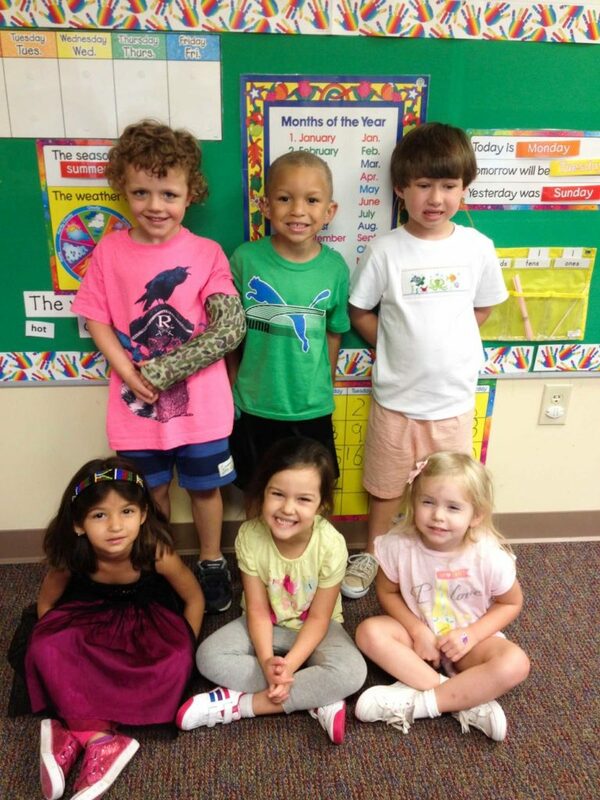 Jasper Matthews, Madilyn Sims, Avery Sawyer and Slayden Sowell. 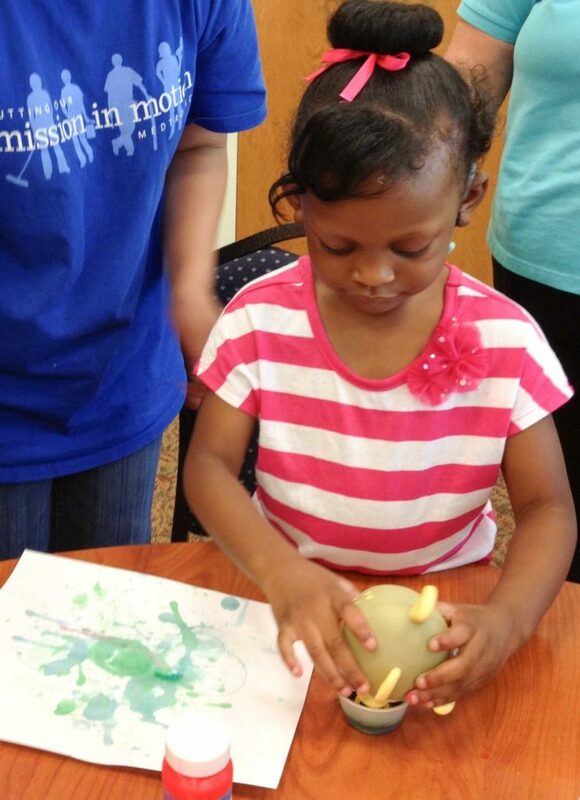 empower deaf children all over the Mid-South to listen, learn, and talk. of a world of sound. For more information, visit mosdkids.org.